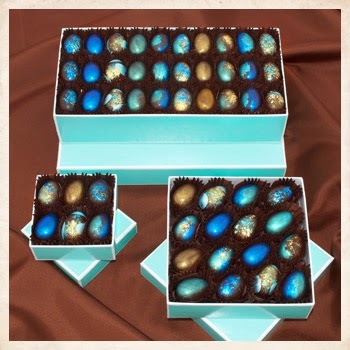 Chef Holly Peterson has created these beautiful and uniquely flavored chocolate Robin's Eggs for Easter. Each artisanal chocolate egg is a dark chocolate shell filled with her signature turmeric ganache and another delicious ingredient, both known to ward off cancer. A portion of the proceeds of each sale will go to fund cancer research. Love that! 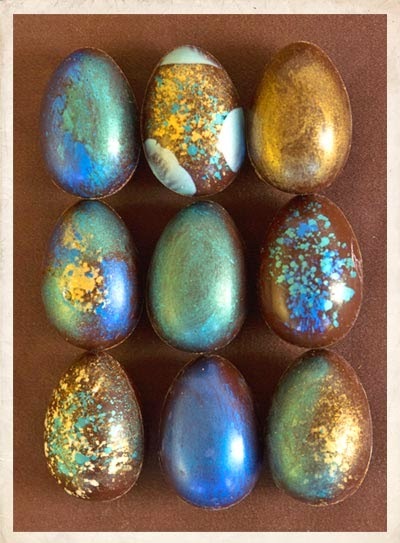 Chef Holly collaborated with Woodhouse Chocolates in Napa Valley to make the artisinal eggs. To order, visit the Woodhouse Chocolates website. I can't think of a better gift to give for Easter! 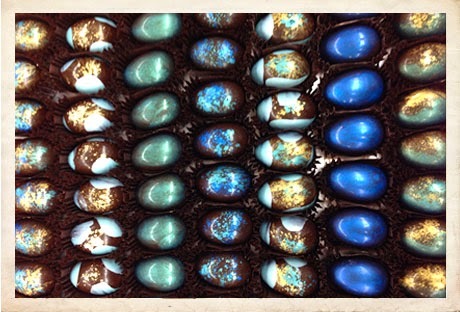 Don't miss my previous post on Woodhouse Chocolates, my all-time favorite chocolate company!